An evaluation of the lightest wheels available for a road bike. For several years, I used a pair of Zipp 404 which are excellent all-round wheels; they are also quite light, yet aerodynamic. However, they are not the best choice for some of the steepest hills. 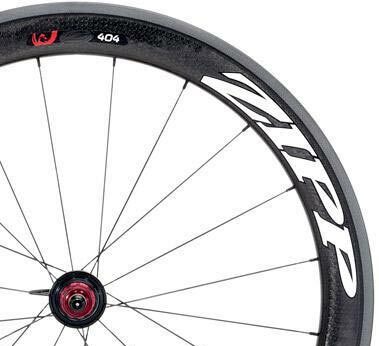 The combined weight of the Zipp 404 weight pair Tubular front 568g – rear 696g was 1266 grams. Interestingly the new version of Zipp 404 Firecrest are heavier than my old model. 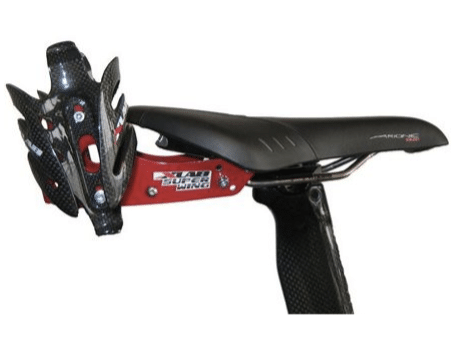 The 2014 Firecrest tubular has a weight of 1470 grams according to Zipp. But, with claims of much better aerodynamics. My front wheel is based on a Tune Mig 45 20 hole. Built onto AX-Lightness SRT 22 20 Hole rim superspokes. This comes in at 365 grams (actual) With a super light track tub, it is only 523 grams. 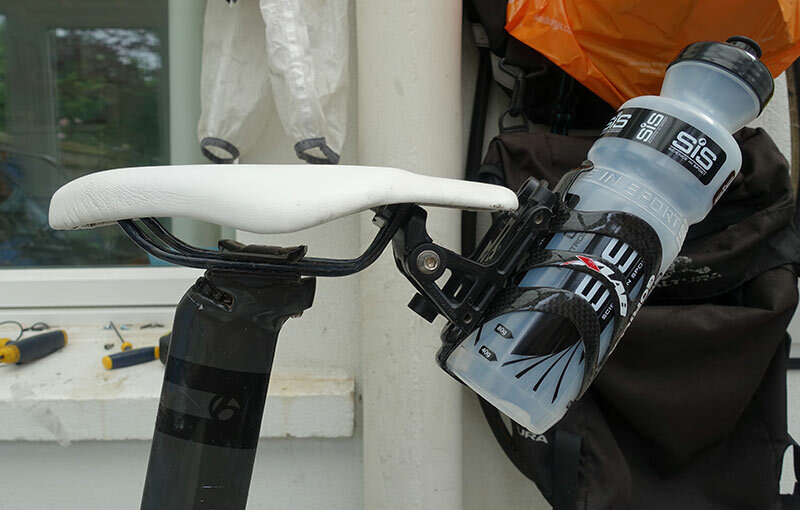 I reviewed this last year, but I’m updating review after using it for a year, including a couple of 100 mile TT’s. 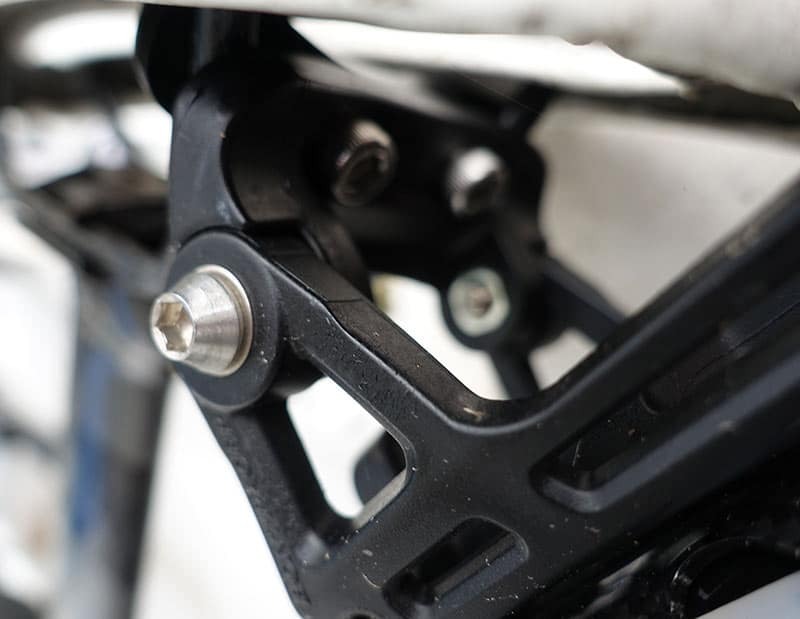 It’s only when you’ve done a few hundred mile TT’s that you can really give a proper review to long-distance TT products. Essentially, I’m very happy with product. In Nat 100, I hardly got out of aero tuck, but there was little pineal discomfort, until perhaps last 10 miles. The cut out in front of saddle avoids numbing pain in that area you would prefer to avoid. It is very comfortable, very aero, and lightweight. Also it avoids the chaffing I used to get on the Adamo (because Adamo is too wide at the front). The only drawback is that it is expensive (and not so readily available); it’s difficult to choose which model to get – but overall it has been a good investment. I will be selling an Adamo on ebay soon. 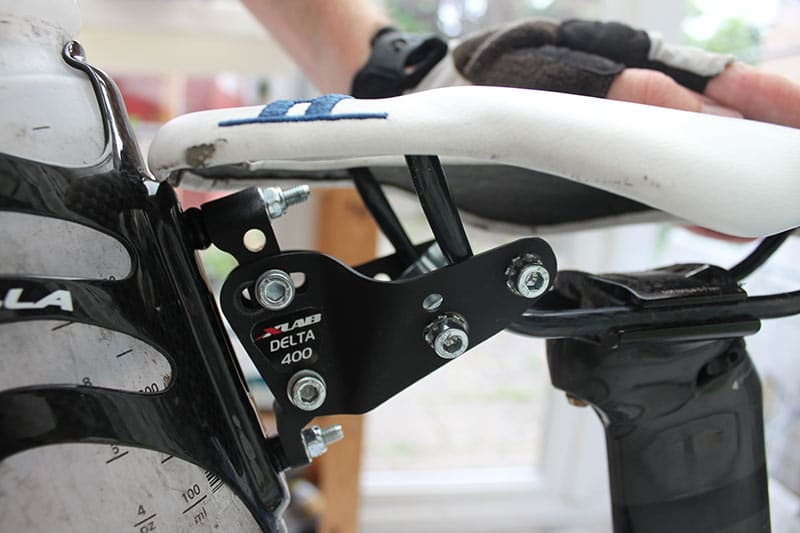 Dash saddles are an expensive alternative to Adamo saddles. It is a good option for those looking for the anatomic shape of a Adamo, but want something which is lighter and more aerodynamic. 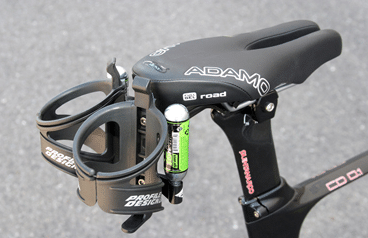 Earlier this year I wrote an enthusiastic review of Adamo saddles – Essentially the shape of Adamo – with the cut out insert – makes cycling much more comfortable – especially when you are in a flat time trial position. 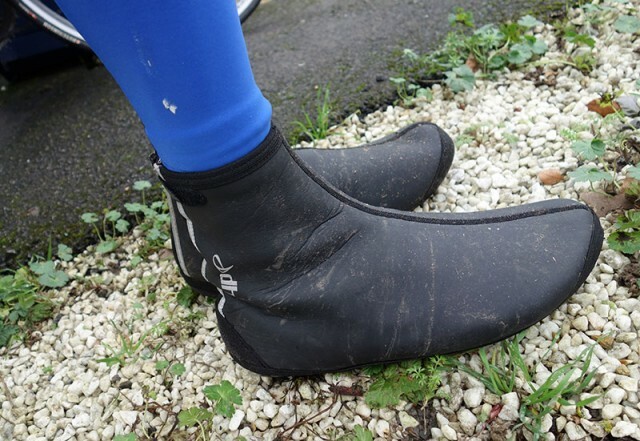 The Adamo really made a big difference to time trial comfort. A 100 mile or even 50 mile TT used to be tortuous for squashing of the crotch area. The Adamo relieved this discomfort making long hours in the saddle much more palatable. However, as enthusiastic as I was about Adamo, I was dissappointed when putting it on the scales and seeing it go to over 275 grams. It’s also a bit of a block, creating an aero drag. 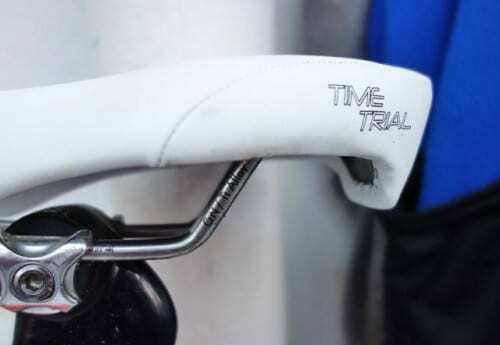 For many timetrialists and triathletes this weight and shape is not such a big deal, but for a hilly time trial specialist, you don’t want to be wasting 200 grams on a saddle. 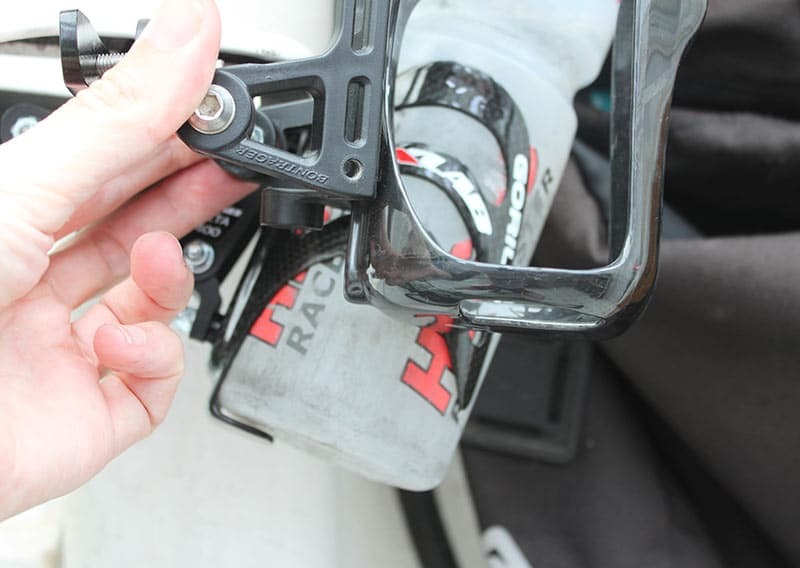 Also, I didn’t like the rear lip, which is used to hang up a bike in triathlons. Another drawback of the Adamo that I noticed after a season of riding – was that you got superficial chaffing on the inside of the thighs, perhaps because the front of the saddle is quite wide. This isn’t really a problem when riding, but after there was a persistent irritation for quite a long time. I could live with it, but still quite annoying. However, the amazing thing about spending a year on an Adamo was not a single saddle sore all year! To overcome ‘lip’ of the Adamo TT, I decided to buy an Adamo Podium because it looked a bit more aero. 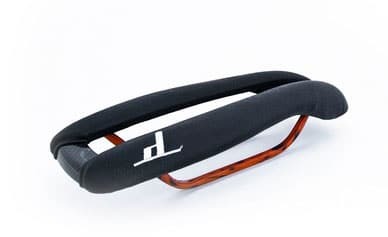 However, when I went into UBYK in Oxford, they suggested having a look at the Dash saddles – twice as expensive, but more than half the weight, and they did look a thing of beauty. Sleek, aero and slim. 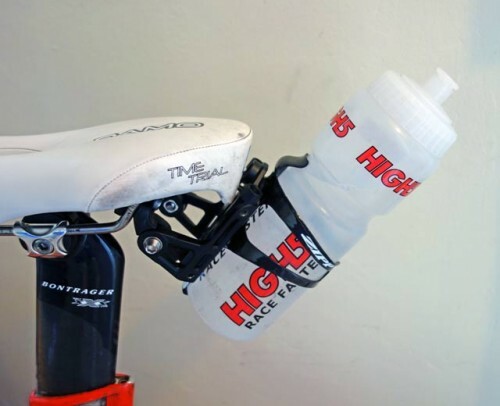 When I use a water bottle on the aerobars, I can’t use the standard Garmin mount, so looked for alternatives which can be fixed to the bike. The dhb Extreme Weather overshoe is a tough, rainproof overshoe designed for cold and wet winter rides. I received a free review copy in the post at the start of the month. Training has been somewhat interrupted by minor injury niggles this month, but I’ve still been out several times. 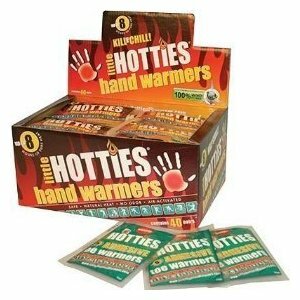 Often wet, and only a couple of times cold. I’ve been using the Shimano Dura Ace di2 for a couple of months now, so I thought, after extensive testing, I would give a review. Overall, I’m very impressed. 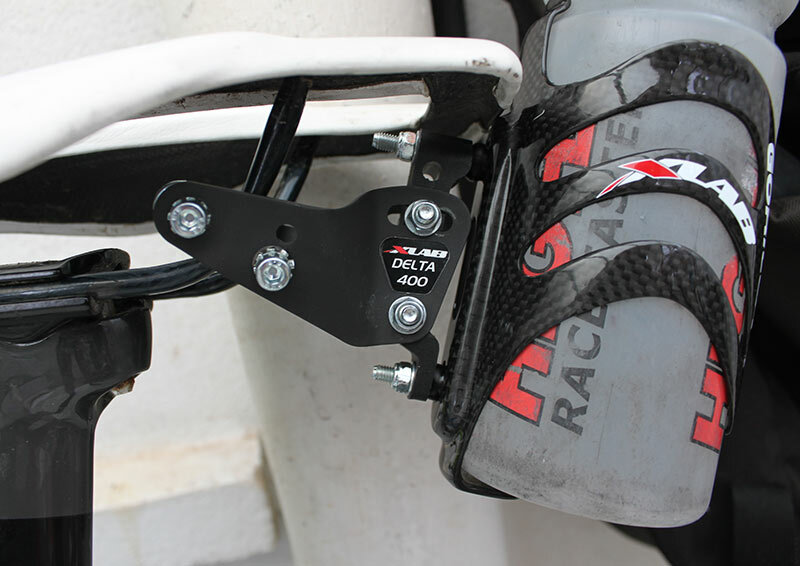 It is very good and makes a difference over mechanical shifting. It is very expensive, and initially I was regretting spending the money on Dura Ace, when I could have saved a £1,000 and got Ultegra, but now I’m glad I ‘bit the bullet’. 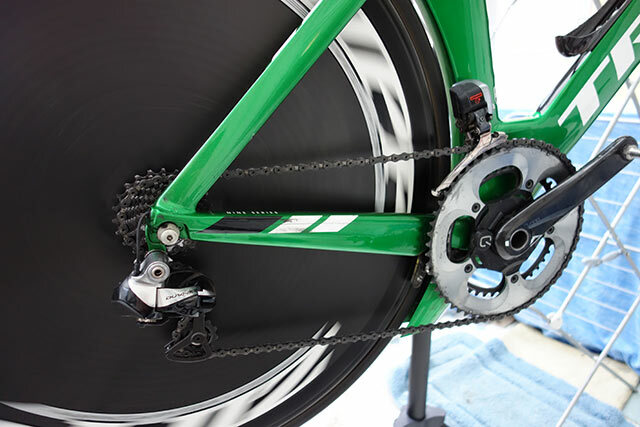 For many years in cycling, ‘electronic gears’ got a bad press. When electronic gears were first introduced, they were often reported as ‘freezing in big races’ and this put me off electronic for a long time. 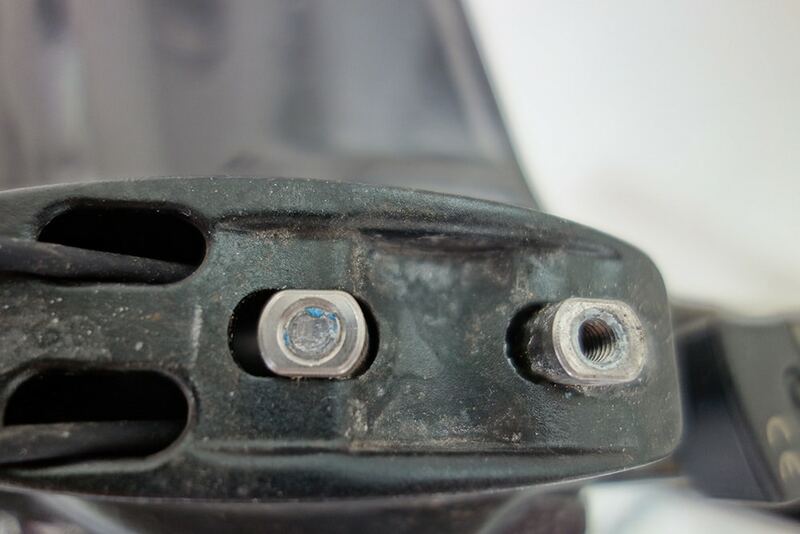 But, Di2 seems to be very durable. I was offered a chance to review two products sent from Wiggle. The first thing I chose was a waterproof jacket. In the past few years, technology has improved, but for various reasons I haven’t bought one for a long time. I needed a proper waterproof cycling jacket just for commuting into town on rainy days. The DHB Flashlight Compact-XT Waterproof Jacket claims to be lightweight, waterproof, breathable and adjustable. It comes in a choice of two colour – blue or fluorescent yellow. I chose the fluorescent yellow for better visibility on the commute into work. Sizing – I chose medium expecting it to be a little short. I’m very tall (6″31) and thin, so it’s always hard to get a good fit, but the sleeves came down nearly to gloves and it wasn’t too baggy. This was my main need – I didn’t want it to be too flappy. The jacket is definitely waterproof, it kept me dry in quite persistent rain and shows no signs of leaking at the seams. It feels quite solidly made. It is not bad for breathability. I rode commuting into town and didn’t work up a sweat. If your training really hard, then I’m sure it will get a bit more sweaty. But, I think overall it is fairly decent for breathability. There are flaps on the back to allow some air to escape without allowing water in. 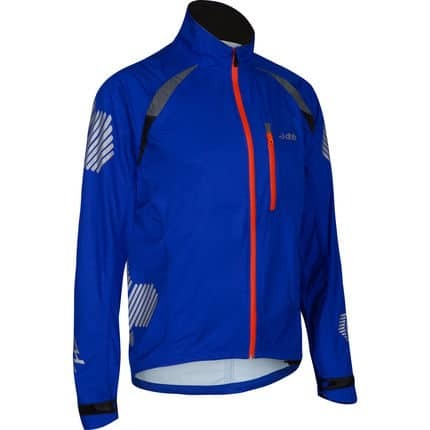 The zip is fairly easy to undo, if you need to let a bit more air in the front. The zip seems fairly solid and so far has no problems. I like the adjustability of the cuffs. It is easy and quick to change with velcro and quite useful for getting on and over winter ski gloves. 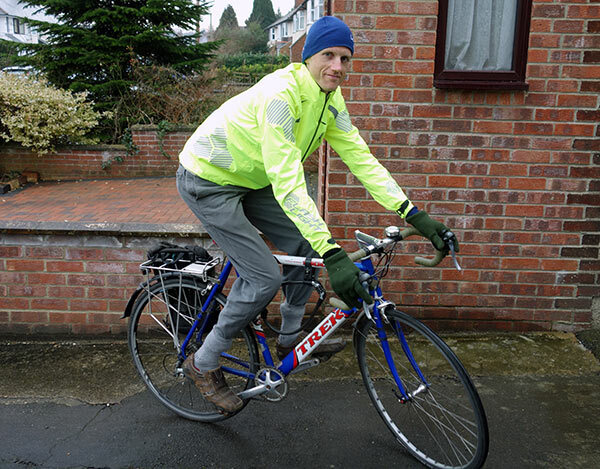 The fluorescent jacket certainly stands out on the roads. It comes with a few pockets – not that I tend to use pockets on a waterproof jacket. Despite my awkward build, it is a good fit. 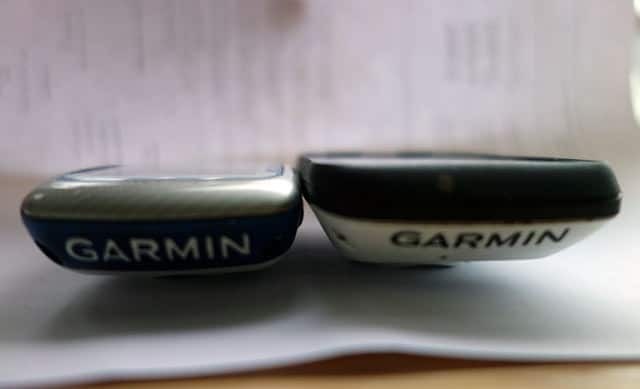 After two years with a Garmin 500, I upgraded to a Garmin 510 – is it any better? Is it worth the extra money? You can upload to the web wirelessly via a bluetooth 2.1 phone connection. After my Garmin 500 had problems connecting to the computer via USB cable, this seemed attractive. With phone pairing, you can have live tracking – so people can watch you on a computer screen (in the old days, people used to go and watch people do time trials). The Garmin 510 has a better battery life – up to 20 hours compared to 18 hours for a Garmin 500. 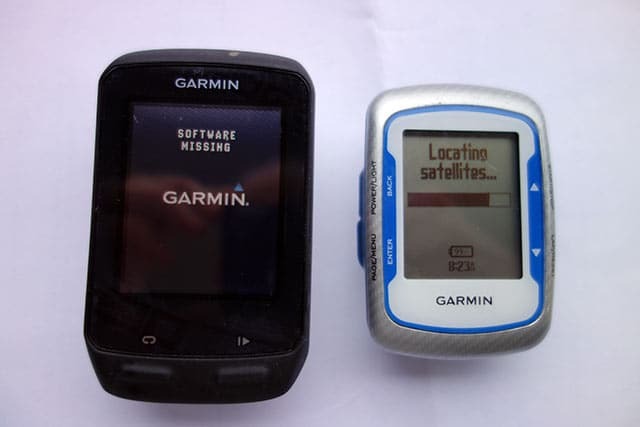 To me the Garmin 510 lasts significantly longer than 500. Bigger screen, more functions and updated quality. I didn’t want to pay the money RRP £249, but I didn’t really want to buy another Garmin 500 because I was annoyed it stopped working. Here is how I’ve been getting on. As a self-confessed weight-weenie and aero-weenie. This is a bad start. 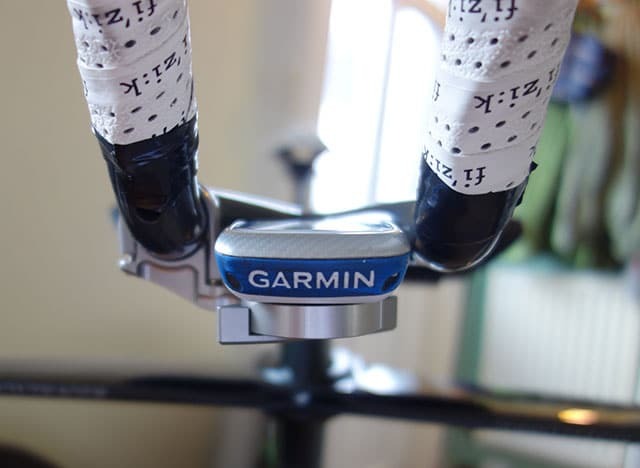 The Garmin 500 is generally well proportioned for a bike computer. 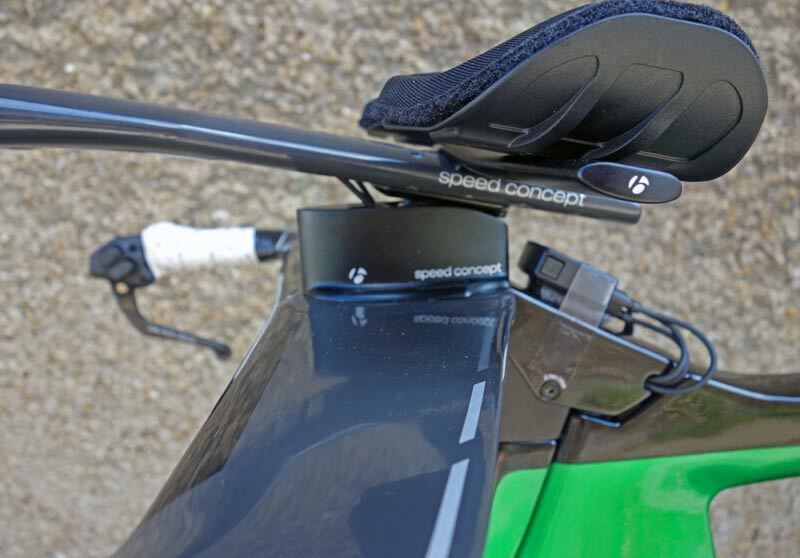 The Garmin 510 starts to feel a bit like a brick. It’s not that far off the Garmin 800. 22g of weight doesn’t really matter (don’t quote me on that in the hill climb season). But, I worry that the extra depth is going to cost seconds on the time trial bike. I don’t like the bulky size of the Garmin 510.